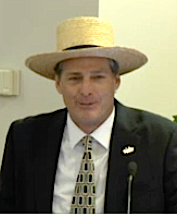 Among its 25 proposals, the Pinecraft Neighborhood Master Plan presented to the Sarasota County Commission last week suggests that one way to slow down traffic on Bahia Vista Street in the predominantly Amish and Mennonite community would be to reduce the number of through lanes from four to two. 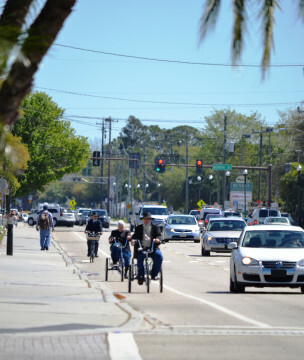 However, the plan says residents of the community are “open to strategies that reduce traffic visually and ‘organically,’” such as placing planters along the sidewalks, creating room for street parking, placing pedestrian signage along Bahia Vista, widening the sidewalks and erecting signs indicating drivers have entered Pinecraft. County staff’s response, according to a Feb. 17 set of recommendations provided to the County Commission, was to note the impact the reduction of travel lanes and on-street parking would have on the “overall transportation network.” Further, the staff document says, “The county has reduced the speed limit from 45 to 30 mph, widened the sidewalks, striped bicycle lanes and reduced travel lane width to improve pedestrian safety.” Nonetheless, the recommendations memo continues, staff will continue to work with Pinecraft residents to improve bicycle and pedestrian safety along Bahia Vista, as such measures are a major focus of the master plan’s 25 proposals. 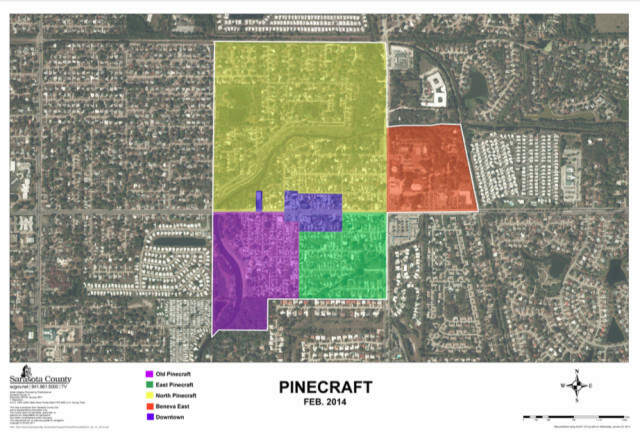 Pinecraft is known as a walking and biking community, county Planner Steve Kirk pointed out to the County Commission during its regular meeting on Feb. 17. 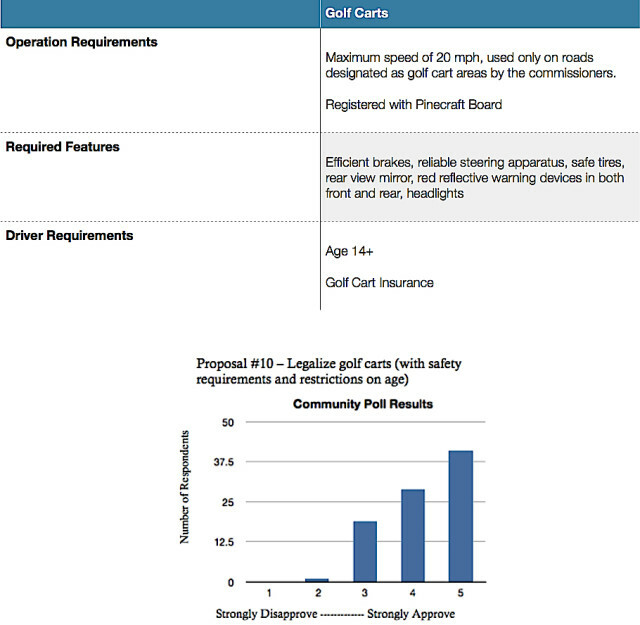 Among other suggestions, the master plan calls for more visible signals at crosswalks; a 20-mph speed limit, or less, for side streets; better signage indicating rights of way at intersections; and the legalization of the use of golf carts. On a unanimous vote, the commission adopted a resolution accepting the Neighborhood Plan and authorizing County Administrator Tom Harmer to have staff prepare a Pinecraft Zoning Overlay District and a Neighborhood Mobility Plan. The latter “will address pedestrian facilities, circulation [and] safety, including the configuration and lighting of pedestrian crossings of Bahia Vista Street and Beneva Road, among other proposals,” the Feb. 17 staff memo says. 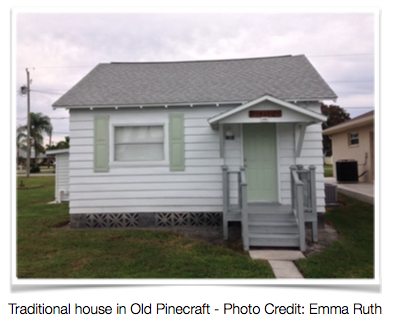 County staff prepared a Pinecraft Neighborhood Plan in 2004, Kirk explained, but the master plan he delivered to the board in advance of the Feb. 17 meeting was created by residents of the community. A “Pinecraft Board,” composed of volunteers, guided the more recent process, the Feb. 17 memo notes. That board selected Norm Kauffmann, a former dean of students at Goshen College in Indiana and the former city manager for the Town of Shipshewana, IN, to lead the effort, Kirk said. Kauffmann put three graduate students from Goshen College on his team, Kirk added, and county staff members provided planning and technical resources. The process took about four months, Kirk noted. Results of polls of Pinecraft residents, undertaken by community leaders, also were incorporated into the preparation of the master plan, he said. 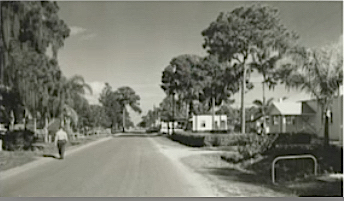 In relating the history of Pinecraft, Kirk pointed out that the unique construction of homes was partly a result “of the very small lots that were platted along Phillippi Creek” in 1920. Numerous houses have minimum or no setbacks, the Feb. 17 memo notes, so they do not conform to county zoning regulations. While a few of the houses date to the 1920s and 1930s, Kirk said, many others were built in the 1940s. The community is surrounded by the urban area, he added. Along with the small lots, other zoning issues with which the community is seeking county help relate to short-term rentals of houses, apartments and rooms; and “small scale commercial activity on residential properties,” the memo says. Staff proposed the zoning overlay district to deal with such matters, the memo continues. The master plan does address a variety of transportation issues. In regard to crosswalks — which Kirk called “very important” — the master plan seeks automatically activated indicator lights, road-embedded lights along the crosswalks, brighter indicator lights on the signs; and signage adjacent to the crosswalks indicating that state law requires drivers to stop for people using them. 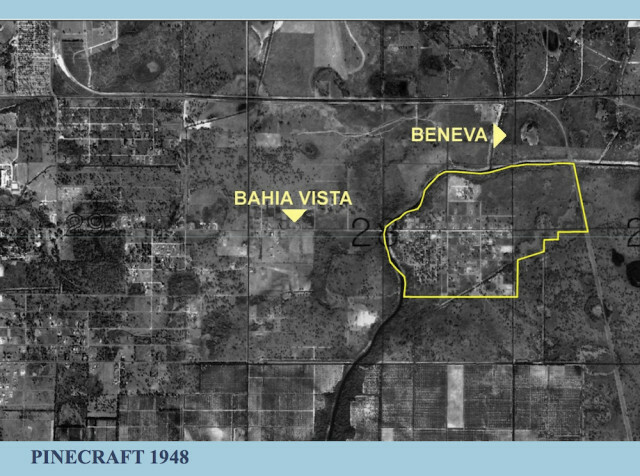 The master plan says, “Many members of the Pinecraft community are concerned about their safety when crossing four lane roads [such as Beneva and Bahia Vista],” adding that, especially during the winter months, foot, bike and golf cart traffic increases over those primary roads. 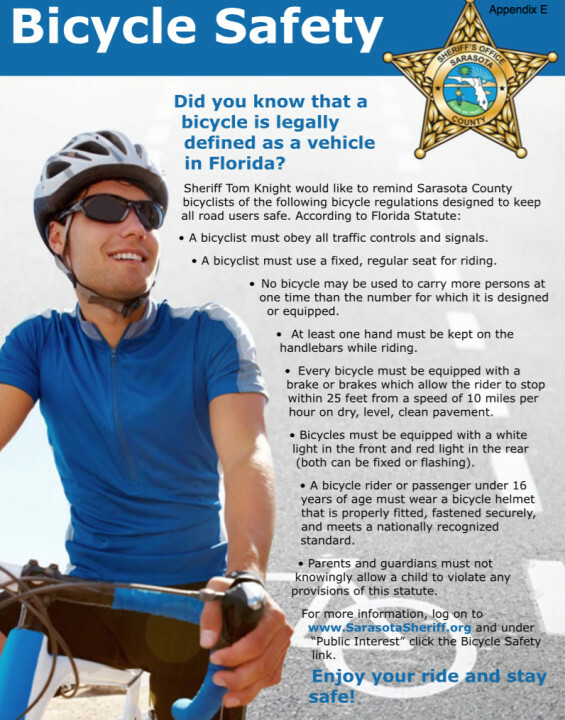 A related proposal calls for the legalization of home bicycle rental businesses. The master plan says about 700 bikes are rented to Pinecraft residents and visitors every year. The proposal adds that any rental operation would be expected to provide standardized safety information to its customers; supply bike lights upon the request of a renter; permanently affix a unique ID tag to each bike; and maintain an updated list of all the bicycles, which it would provide to the community board. “I want to thank the Pinecraft community for working with the county staff on making this happen,” Commissioner Carolyn Mason said of the master plan, following Kirk’s presentation. “It speaks volumes … just about who you are … and your willingness to participate in making your community a better place,” she added to Pinecraft representatives in the audience. Then she made the motion to adopt the resolution accepting the plan and authorizing staff to work on the overlay district and mobility plan.